After losing someone special in your life, the concept of dating again and finding a new partner can seem daunting. Some people choose never to be in a relationship again opting instead to embrace the single life. Others in their quest to get over their feelings of loss and bereavement, decide to try dating once more to find a new partner and seek happiness and companionship again. For many Widows and Widowers there is a natural desire to want to be back in a loving relationship and to overcome their feelings of loneliness. However, it is also natural to experience feelings of guilt such as ‘Is it too soon?’, ‘Am I betraying my old partner?’. With these any many other questions relating to bereavement, it is important to remember that finding happiness again is something that you should not feel guilty about. Everyone deserves to be happy and happiness comes in many forms. Joining a dating site to find a new partner should never be about replacement of your ex-partner, but about deciding to move on with your life when you are ready to consider dating again. If you have a good relationship with your in-laws then it is highly likely that rather than judging you they will be happy and supportive of you in your desire to move forward and rebuild your life with a new partner. The same goes with your friends. So do not let this become a concern as you seek to move forward in your life. We are all different and we all deal with the loss of a loved one in different ways. There is no set period after which you will feel ready to date again. Only you will know when the time is right. Whilst it might seem daunting at first, remember that you have experienced love and happiness before. 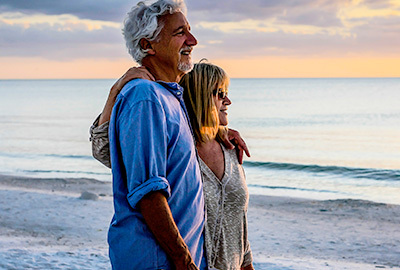 Finding love after loss is possible and many people using dating sites such as WidowsDatingOnline end up in a mutually rewarding and loving relationship again. So don’t let love pass you by. If you are ready, why not give it a go. Mauris consectetur, lectus nec pretium pulvinar, dolor velit egestas purus, sed sollicitudin ex elit a urna. Mauris venenatis, velit nec vestibulum egestas, nulla mi mattis neque.Suspendisse porttitor ut libero nec vestibulum. Nullam sodales felis sed gravida fermentum. Etiam venenatis ultricies elementum. Maecenas posuere tortor et tristique iaculis. Mauris consectetur, lectus nec pretium pulvinar, dolor velit egestas purus, sed sollicitudin ex elit a urna. Mauris venenatis, velit libero nec vestibulum. Nullam sodales felis sed gravida fermentum. Etiam venenatis ultricies elementum. Maecenas posuere tortor et tristique iaculis nec vestibulum egestas, nulla mi mattis neque. 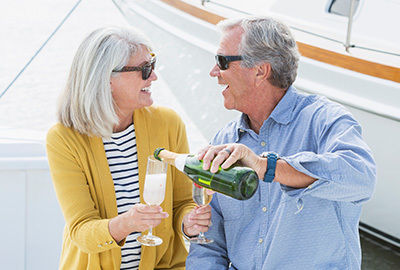 It is hard enough getting back into the dating scene later in life but often more so when you are a Widow or Widower dealing with the loss of a loved one. 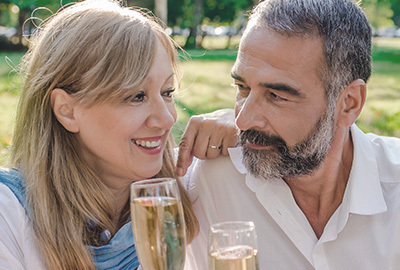 Here at WidowsDatingOnline we have prepared some dating tips and advice to help you on your dating journey in your search for a new partner (or just new friends). Everyone processes grief in their own way and in their own time. Whether it takes several months or a few years, only you will know when you feel ready. That said, don’t be afraid to take the first steps. Joining an online dating site might be the best way to test the waters in a safe and secure environment. When you first start dating again you might feel like you are being unfaithful to your ex partner. But wanting to move on and find happiness with a new partner is totally justified. Dating again is not wrong and you have every right to do so and be happy again. It is normal to feel some guilt at first, but these feelings should fade with time. No one you meet will be the same as your ex partner. Acknowledge and be grateful for your good times together and the memories you shared. When starting dating again it is important to treat your date as a potential new partner for new shared experiences and not a replacement for the one you lost. In your search to find a new partner you might meet several ‘almost but not quite’ people along the way. Remember, you don’t have to rush into another serious long term relationship straight away. So relax, take your time and have fun. Enjoying something less serious and seeing how it goes can be a good way to ease yourself back into meeting new people. Don’t try to be anything other than yourself. People want to see and get to know the real you. So relax, take it slow, smile, be confident and most of all be yourself. This will make you more attractive to potential partners, as well as boosting your self-esteem. We hope that these words of advice are useful and should you wish to try WidowsDatingOnline then registration is free, quick and easy to do. Why not join our community today and see who you could meet. Dating After Bereavement - How Long Should I wait? Losing a loved one is one of the hardest things we have to face in life. But eventually, once the grief has subsided and importantly once you feel ready, it is highly likely that you will move forward and try to find love again. This can happen at any age but one of the most often asked questions is… how long should I wait? It is often said that it takes on average two years to recover from the loss of a spouse or loved one. But no two individuals are the same and we all tend to move forward with our lives at our own pace. The key is you and how you are feeling and your openness and readiness to begin a new chapter in your life and meet new people. It is also often said that you will never be 100% ready. Feelings of guilt about looking for a new partner or companion are very common and totally understandable. But research has shown that once you dip your toe in the water and try meeting new potential partners these feelings subside over time. Many people find that joining an online dating service such as WidowsDatingOnline aimed specifically for the needs of widows or widowers is a great way to meet new people in a safe and secure environment. Here you can create a profile and upload a photo or two and then start to browse other like minded singles from the comfort of your own home. Best of all, you can go at your own pace, see who you like, chat and get to know them first and only when you feel ready, progress to a date / meeting in person. Choosing when to start dating again is a very personal decision. It is perfectly normal to feel guilty about wanting company and physical love after bereavement. It is also perfectly normal to never feel 100% ready to start dating again. But with online dating now the second most popular way to meet people (after introductions from friends) this is a proven way to help widows and widowers take that first step towards finding a new partner. Once you feel like you are ready to start dating again then embrace the opportunity. You’ll be glad that you did.